As one of the most famous and contemporary Australian designers and painters, Ken Done AM barely requires an introduction. 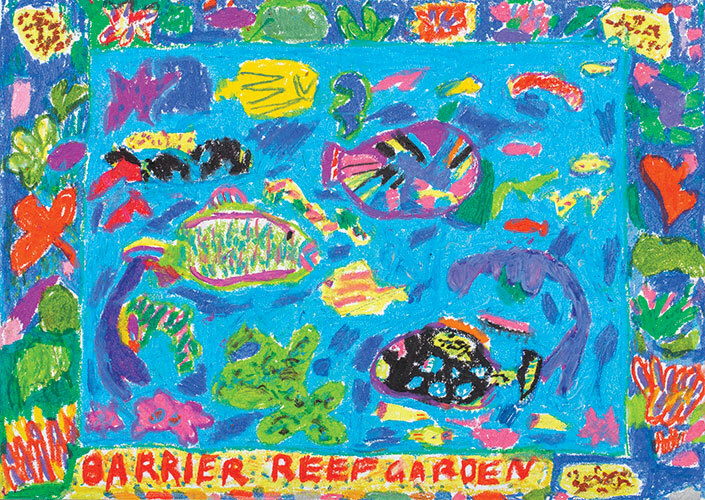 His paintings and drawings which have been described as the most original style to come out of Australia. 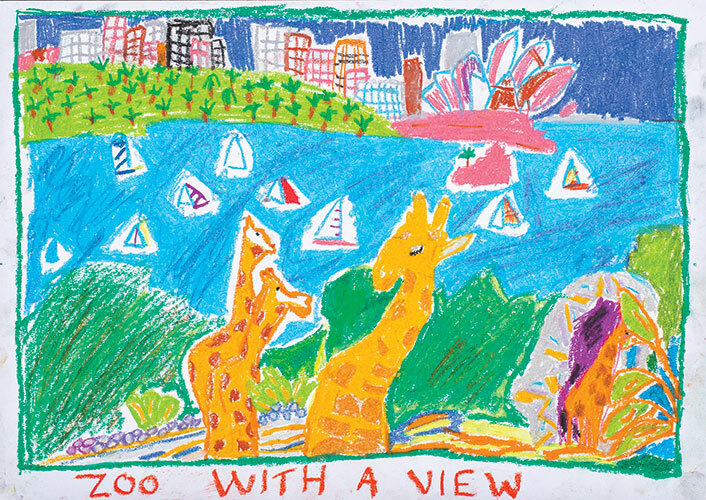 His artwork has annually radiated much inspiration and joy for Grade 5 or 6 students as they have enjoyed studying and representing his work at Apollo Parkways Primary for many years. All students succeed with this unit of work. 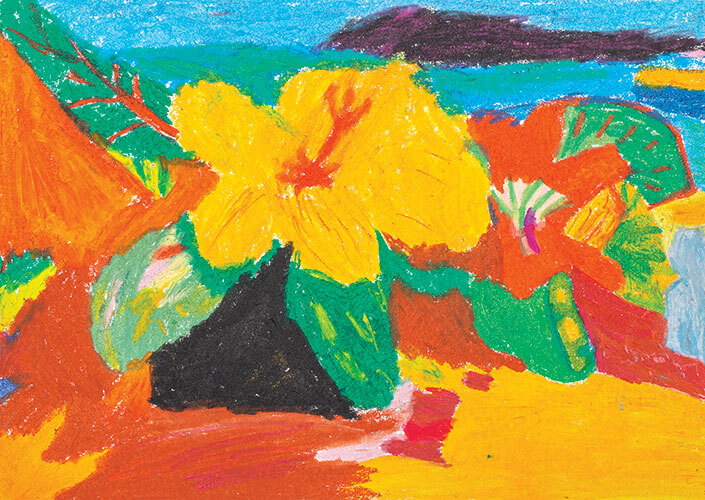 The low-fuss approach of no perfectly straight lines, no black lead pencil sketching, no erasers – simply using oil pastel and focusing on colour, light, shape and abstract form. Students have been introduced to Ken Done and his artwork from the past 5 decades, through his extensive website and online articles. 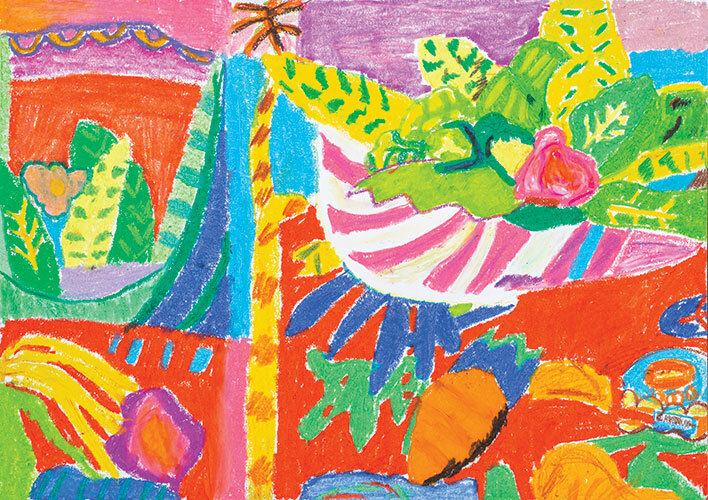 We have hard copy prints from calendars whereby students select an artwork which appeals to them to explore and represent. 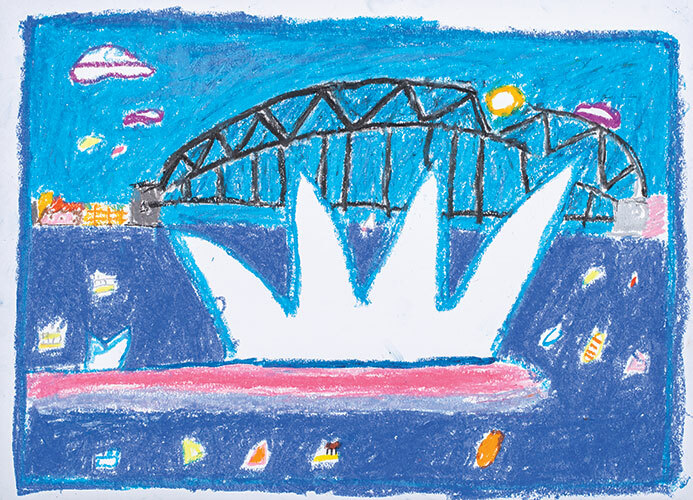 Most of Ken Done’s artwork subjects are familiar to many students as his original early classic work was based around Sydney and depicts various well known and iconic Australian landmarks, landscapes, cities, seascapes, underwater, fauna, flora, fruits and lifestyles. 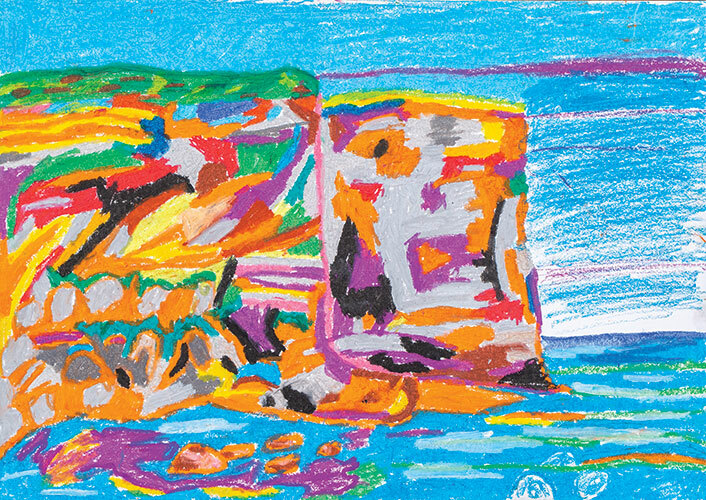 Cartridge paper and Zart 48 colour oil pastels sets are all that is used and the inspiration, motivation and engagement naturally follows. The 48 colour set is essential as most colours in Ken Done’s work can be matched as the extensive colour range includes up to ten shades of the each basic colour. 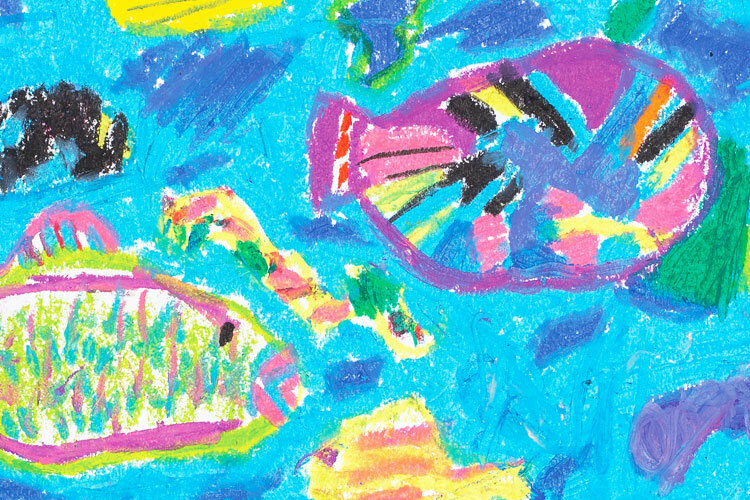 Ken Done’s work provides opportunities for students to develop confidence and experiment with ‘drawing’ using and blending many colours and shades and prompting students to fully utilise and occupy the space on the artwork. It highlights the emphasis on viewpoints, depth, shape and outline and his characteristic often unrealistic abstract proportions. All components thoroughly enjoyed and achievable over approximately 3 or 4 sessions.